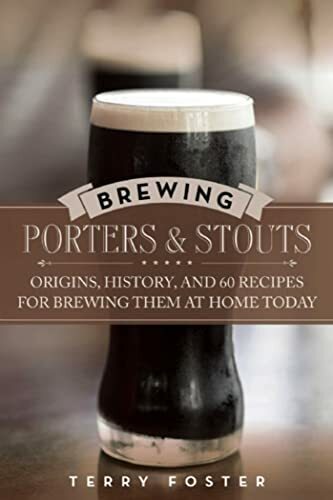 [PDF] Brewing Porters and Stouts: Origins, History, and 60 Recipes for Brewing Them at Home Today | Free eBooks Download - EBOOKEE! Description: From the enduring global dominance of Guinness to exciting new craft porters to the resurgence of Russian imperial stouts, porters and stouts are among the most popular beer styles today among homebrewers and craft beer drinkers alike. In Brewing Porters and Stouts widely respected beer and brewing writer Terry Foster presents the history and development of these styles as well as the guidance and expertise necessary to successfully homebrew them yourself. The book opens with the history of the styles, including the invention of porter in eighteenth-century England, how stouts were born from porters (stouts were originally bolder and stronger or stout porters), the development in the United Kingdom, and introduction to Ireland and eventually the United States, where they remained popular even as they fell out of favor in Britain and surged in popularity as the craft brewing revolution took hold. Foster then goes on to explore the many sub-styles of porters and stouts, providing commercial examples and showcasing some of the most exciting developments in craft brewing today, before breaking down the ingredients, including the various malts as well as special flavoringsâ€”such as vanilla, coffee, chocolate, and even bourbonâ€”and finally the yeasts, hops, and waters that are well suited to brewing these styles. Finally, Foster provides a collection of sixty recipesâ€”up to six for each sub-styleâ€”showcasing the variety and range of ingredients explored in the book and providing both extract and all-grain instructions. Brewing Porters and Stouts belongs in the library of every craft beer drinker or homebrewer. No comments for "[PDF] Brewing Porters and Stouts: Origins, History, and 60 Recipes for Brewing Them at Home Today".